a few years ago, I posted about getting a 19+over ticket and said it was a ridiculous ticket since it was down a hill and everyone drives that 10-20 over. Everyone here claimed I was outrageous to be driving over the limit by ANY amount and I was driving wildly for doing so. 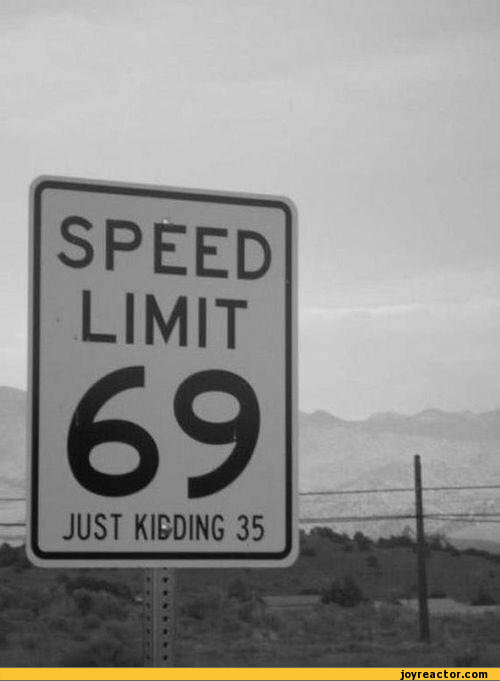 Since those two years have passed, I've stuck to the speed limit...guess what happens? Literally every single car passes me or rides my bumper until they are able to. I even went down the same road I received the ticket multiple times sticking to the limit, EVERY single car passes at at least 10-20 over....EVEN POLICE VEHICLES. The last two years confirms 10-20 over is not speeding, just lazy cops trying to meet their quota as evidence by setting up traps at bottom of hills, blind corners etc. How about giving out tickets to people blocking intersections? tailgating? sitting at left turn signals texting? the real traffic problems in this city...not 10-20 over. Re: delusion on this board. What was your handle back then, since your name "foreveraquota" has only one post? Second - this forum is NOT for bashing police, or anyone else for that matter... unless they started it by being insulting or abusive. Quite a few people have been slapped with warnings or banned for referring to speeders as "idiots" and other colourful expressions. Granted, most of the moderators have not been consistently on the board for a while so some of the inappropriate posters/posts might've not been warned or edited etc. There's a lot of people on here who got help with fighting their tickets, and won, or went for a plea bargain when the evidence didn't help them much. If your statement about everyone on here being a cop or related to one was true, and they all were unhelpful and overly "law & order" types, then that would not be the case. EDIT: Just to add, some of the more helpful posters are actually cops. I've seen a lot of straightforward, solid advice given by them which has helped a lot of people. Some - not so much. And for the record I'm not a cop or a Prosecutor, nor am I related to one. Holding a grudge for 3 years doesn't seem to be a useful life strategy. He said he was done with this forum. Welcome back if you actually have a valid question. "How about giving out tickets to people blocking intersections? tailgating? sitting at left turn signals texting? the real traffic problems in this city...not 10-20 over." I do. All of the above. Every week. Quota? Never had one. I can write as many as I want. Wow...three years steaming over this? Did you get another ticket? 1) after my speeding ticket, I drove the speed limit, for about a month, then realized that my journey time to work increased two fold, and I experienced the same thing. I did resort to brake checking, but under advisement, have stopped, just in case I get a unmarked or on dash cam. +/- 10% +3 so on a motorway, doing 70, you could actually get away with about 80, unless your driving like a maniac, or the cops are having a revenue day ermm sorry safety day. 100 is a ban in the UK, Ive done that a few times in several sports cars, and when running late (but not too often) topped out at 145 in my Pawsha, but luckily I didn't get caught. Tailgating, and aggressive driving, impiared, text/phoneuseage TO ME is far more dangerous than "simple" speeding, but what can you do. or try and "get back at them" which is what I was doing. foreveraquota wrote: Literally every single car passes me or rides my bumper until they are able to. I even went down the same road I received the ticket multiple times sticking to the limit, EVERY single car passes at at least 10-20 over....EVEN POLICE VEHICLES.